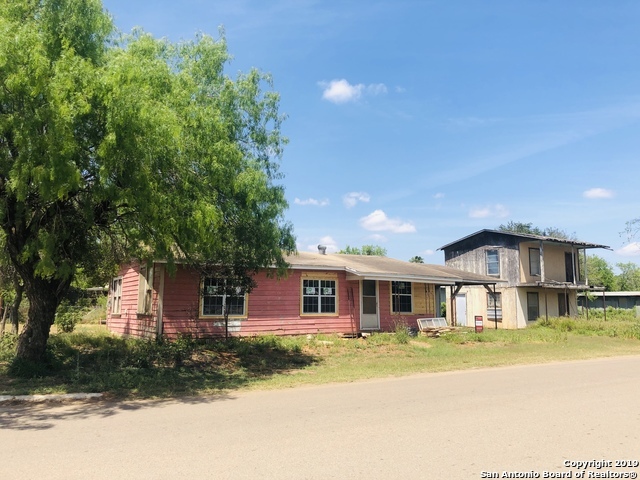 All Cotulla homes currently listed for sale in Cotulla as of 04/22/2019 are shown below. You can change the search criteria at any time by pressing the 'Change Search' button below. If you have any questions or you would like more information about any Cotulla homes for sale or other Cotulla real estate, please contact us and one of our knowledgeable Cotulla REALTORS® would be pleased to assist you. 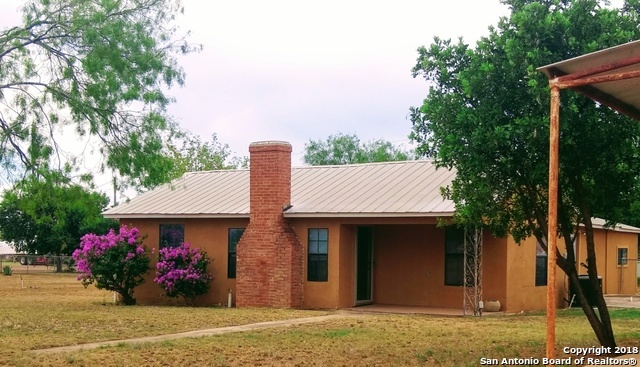 "Wonderful 4 bdr/3 ba corner property located in a quiet neighborhood in Cotulla. This home sits on three lots and is spacious, comfortable and move-in ready. It has an attractive stone exterior and a nicely landscaped yard with mature trees and a backyard fenced for privacy. The covered patio is perfect for entertaining with plenty of room for an outdoor kitchen. A small guesthouse and storeroom are located in the far corner of the yard. The adjacent three lots are fully fenced with a barn (mul"
"Charming 3 bedroom home on .8609 acres with a new 34 x 34 metal shop. The house is approximately 1600 sq. ft., has central air and heat and comes with all appliances including washer and dryer. The home is fully furnished from t.v. and sofa down to dishes and silverware. This is a nicely unique property. Huge corner-to-corner yard with chain link fence and 2-car covered parking. The location has a residential feel but could easily be utilized as commercial real estate." "GREAT INVESTMENT PROPERTY WITH 2 HOUSES NOT JUST 1. **AS IS SALE** Both have spacious open floor plans, nice size bedrooms, and fast access to highway 35." "Best Price in the area. 2 bedrooms 1 bath with double carport and a small storage in the back. A fun park for the kids across the street. This House is also located across the street from the Historical Welhausen building where LBJ taught school. Also Additional shed with half bath accessible to the backyard. This house won't last long. Put in a offer asap."